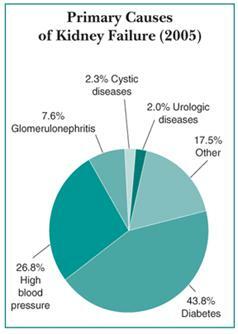 Diabetes is the most common cause of kidney failure, accounting for nearly 44 percent of new cases. Even when diabetes is controlled, the disease can lead to CKD and kidney failure. 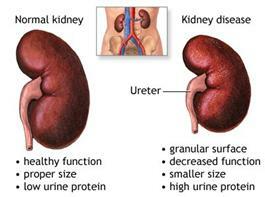 Most people with diabetes do not develop CKD that is severe enough to progress to kidney failure. Nearly 24 million people in the United States have diabetes, and nearly 180,000 people are living with kidney failure as a result of diabetes. People with kidney failure undergo either dialysis, an artificial blood-cleaning process, or transplantation to receive a healthy kidney from a donor. 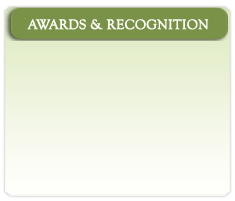 Most U.S. citizens who develop kidney failure are eligible for federally funded care. In 2005, care for patients with kidney failure cost the United States nearly $32 billion. African Americans, American Indians, and Hispanics/Latinos develop diabetes, CKD, and kidney failure at rates higher than Caucasians. Scientists have not been able to explain these higher rates. Nor can they explain fully the interplay of factors leading to kidney disease of diabetes—factors including heredity, diet, and other medical conditions, such as high blood pressure. They have found that high blood pressure and high levels of blood glucose increase the risk that a person with diabetes will progress to kidney failure. Over several years, people who are developing kidney disease will have small amounts of the blood protein albumin begin to leak into their urine. This first stage of CKD is called microalbuminuria. 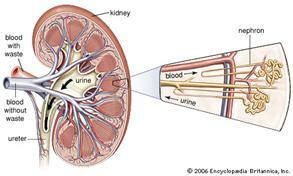 The kidney’s filtration function usually remains normal during this period. As the disease progresses, more albumin leaks into the urine. 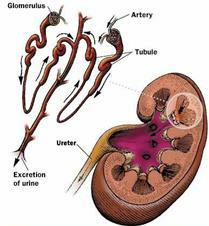 This stage may be called macroalbuminuria or proteinuria. As the amount of albumin in the urine increases, the kidneys’ filtering function usually begins to drop. The body retains various wastes as filtration falls. 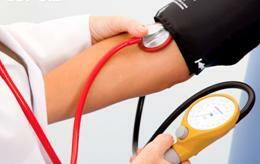 As kidney damage develops, blood pressure often rises as well. eGFR: stands for estimated glomerular filtration rate. 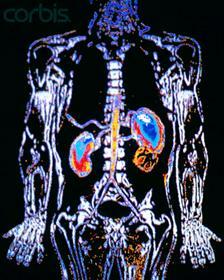 Each kidney contains about 1 million tiny filters made up of blood vessels. These filters are called glomeruli. Kidney function can be checked by estimating how much blood the glomeruli filter in a minute. 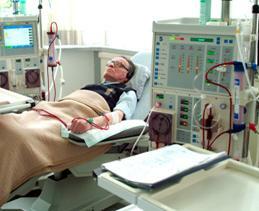 The calculation of eGFR is based on the amount of creatinine, a waste product, found in a blood sample. As the level of creatinine goes up, the eGFR goes down. An example of an effective ACE inhibitor is lisinopril (Prinivil, Zestril), which doctors commonly prescribe for treating kidney disease of diabetes. 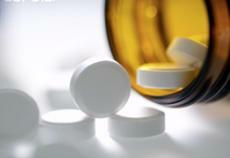 The benefits of lisinopril extend beyond its ability to lower blood pressure: it may directly protect the kidneys’ glomeruli. ACE inhibitors have lowered proteinuria and slowed deterioration even in people with diabetes who did not have high blood pressure. 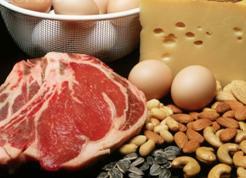 Antihypertensive drugs and low-protein diets can slow CKD. A third treatment, known as intensive management of blood glucose or glycemic control, has shown great promise for people with diabetes, especially for those in the early stages of CKD. The human body normally converts food to glucose, the simple sugar that is the main source of energy for the body’s cells. To enter cells, glucose needs the help of insulin, a hormone produced by the pancreas. When a person does not make enough insulin, or the body does not respond to the insulin that is present, the body cannot process glucose, and it builds up in the bloodstream. High levels of glucose in the blood lead to a diagnosis of diabetes. A number of studies have pointed to the beneficial effects of intensive management of blood glucose. In the Diabetes Control and Complications Trial supported by the National Institute of Diabetes and Digestive and Kidney Diseases (NIDDK), researchers found a 50 percent decrease in both development and progression of early diabetic kidney disease in participants who followed an intensive regimen for controlling blood glucose levels. The intensively managed patients had average blood glucose levels of 150 milligrams per deciliter—about 80 milligrams per deciliter lower than the levels observed in the conventionally managed patients. The United Kingdom Prospective Diabetes Study, conducted from 1976 to 1997, showed conclusively that, in people with improved blood glucose control, the risk of early kidney disease was reduced by a third. Additional studies conducted over the past decades have clearly established that any program resulting in sustained lowering of blood glucose levels will be beneficial to patients in the early stages of CKD. have their blood pressure checked several times a year. If blood pressure is high, they should follow their health care provider’s plan for keeping it near normal levels. They should aim to keep it at less than 130/80. ask their health care provider whether they should reduce the amount of protein in their diet and ask for a referral to see a registered dietitian to help with meal planning. Diabetes is the leading cause of chronic kidney disease (CKD) and kidney failure in the United States. Intensive management of blood glucose has shown great promise for people with diabetes, especially for those in the early stages of CKD.